If Jason and Tracy (Blough) Wilwert’s home in Washington – across Puget Sound from Seattle – seems like paradise, it might be because they live near the entrance to Olympic National Park. When Tracy first wrote to me, she and Jason were living in Port Angeles, just a stone’s throw away from the park entrance, where they had bald eagles fishing in the creek bordering their backyard. They moved to Sequim (pronounced “Squim” by the locals) in February to be closer to church, schools, and Jason’s business; Sequim is a little farther from the park, but their new home has a view of the Strait of Juan De Fuca to the north and is frequented by a herd of elk. Oh, and the town is famous for its lavender farms. Paradise, indeed. Jason and Tracy met during their freshmen year at Iowa State. Both were biology majors; both graduated in 1991; both played in the ISU Cyclone Football Varsity Marching Band. Both became physical therapists. They started their careers in the Midwest, followed by traveling physical therapy work across the country. They moved to Port Angeles in 1999 and stayed. Jason purchased a private outpatient clinic in Sequim, and Tracy is an acute-care physical therapist at the hospital in Port Angeles. When Jim and I visited them in August, they introduced us to their two very bright, polite children: Carmen, 13, and Keith, 11. 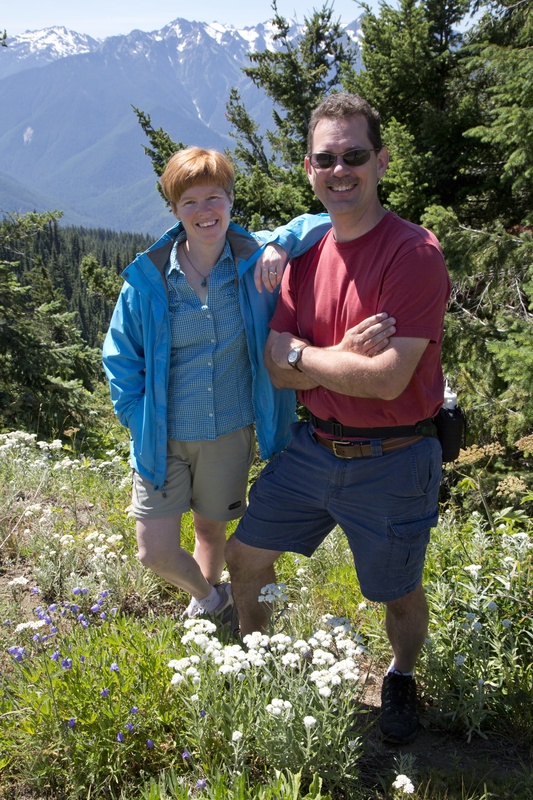 Tracy and Jason like to run, hike, and camp in their northwestern paradise.